EDITOR'S CHOICE: We've handpicked the best of the best Mosman wedding venues to help you pick the right one for your big day. Planning a Mosman wedding? Congratulations! This is one of the most exciting times of your life, but it can also get a little overwhelming with all of the choices and decisions you will have to make. We like to make things easier for you by narrowing down some of the wedding reception venues, to a list of just the very best. If you are considering this gorgeous part of the world for your wedding celebration, we have the only list of venues you will need. Only the most highly rated for service, hospitality, views, food and drinks, photo opportunities and those extra special touches that make a place unique. These venues have dedicated staff who will guide you every step of the way to crafting a day that is totally personal and one of a kind. Zest Waterfront hosts two immaculate beachfront venues perfect for weddings and any other glamorous events, one in the city and one, of course, in Mosman. Located at the Middle Harbour 16ft Skiff Club and perched right on the shore, Zest provides a cool, rustic boathouse ambience. The venue offers a warm and relaxed welcome and a beautiful interior, boasting timber and stone surfaces with gold-leaf painted ceilings. This is a prestigious and iconic location which will have your guests talking about your wedding for months afterwards. This stunning, fine dining venue has breathtaking harbour views on almost all sides, and gives you the opportunity for ceremonies on the landscaped garden followed by a reception in the restaurant. Providing elegance, opulence and privacy for your special day. This award-winning venue offers the unique experience of a lovely heritage listed federation village for a special and intimate wedding day. A romantic restaurant space with refined yet traditional Italian cuisine, if you are planning a smaller celebration this is the venue for you. This wonderfully refurbished homestead perched in Ashton Park is where magical wedding days come to life. With a range of different indoor and outdoor locations for your celebration and photos, you will be enchanted by the service and facilities here. You will adore the backdrop over the water and across to the Bridge and Opera House for a wedding album with huge ‘wow’ factor. Tucked away in the bushland of Georges Heights is a venue of history, beauty and tranquillity. This is a spectacular space famed for exceptional facilities and high-quality service. Commanding an exciting outlook across the harbour, couples love this space which transports them wonderfully back in time. For vintage charm, a friendly welcome and captivating setting, Gunners Barracks is second to none. Boronia House was built in 1885 and has been retained in all of its former glory. The lovingly restored mansion has been perfectly decorated to transport your guests to a beautiful bygone time. You can choose from a ceremony in the gardens or on the stunning second floor, followed by photos in the manicured gardens and a reception which will delight. For something completely different, you might like to consider the Taronga Centre within the Taronga Zoo. An exquisitely set out event space with floor to ceiling views over the harbour, this venue offers a range of versatile options for your day. Choose from the ballroom, terrace, courtyard or more. The wild inhabitants make this an extraordinary spot to tie the knot. Orso is a beautiful modern restaurant perched right on the beach that has won awards for its excellence in service and hosting events. 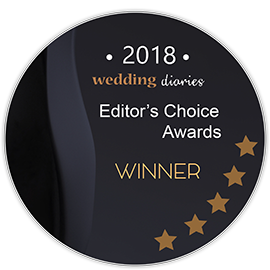 An intimate and boutique venue, their wedding team will work closely with you to ensure you craft the celebration that perfectly tells your love story. With delicious food and drinks options from formal to cocktail, share platters and everything in between. A luxurious contemporary space with a spectacular view, for the couple who only want the best, Kirribilli House is a must-inspect. With a backdrop of parks, gardens and the harbour, your guests will be blown away by the sights of your special celebration. From fine dining to cocktails and canapes, their chef and event staff can manage it all. Not just a graceful and elegant reception space with panoramic harbour view, but a reception venue of fun, whimsy and romance. When you choose Luna Park for your wedding your day is guaranteed to be unique, while the quality of service, food and facilities is still world class. With sophisticated styling and all of the small details that ensure your day is truly personal. Sydney’s North Shore is a stunning place of crystal beaches and ocean views, luxurious venues and places just built for celebrating. 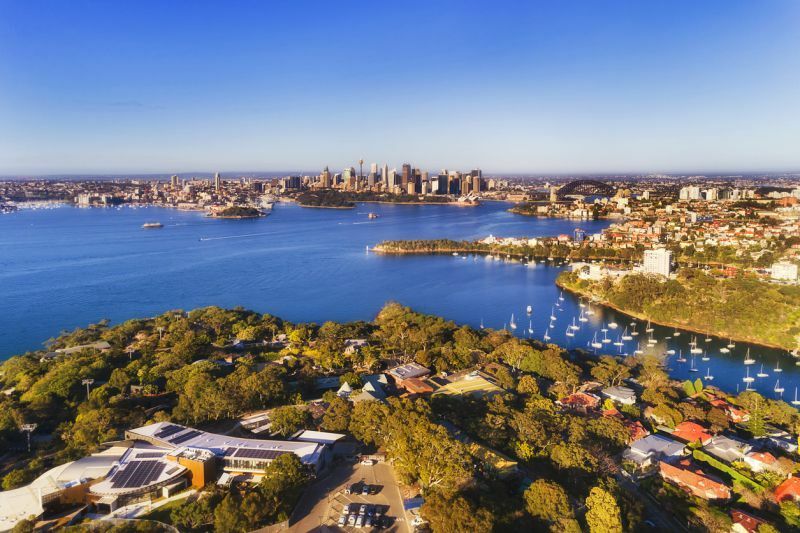 Easy to get to and filled with plenty of accommodation options, your guests both from Sydney and all over will be very happy to come to your Mosman wedding. You can select from a number of wonderfully restored historic mansions and homesteads, to iconic public buildings, zoos and parks, and modern yet timeless restaurants. For any style of couple and any theme of wedding day, dreams come true in Mosman. Sydney weather is temperate most of the year, never really getting to hot or too cold. The drier months are between July and December, but there isn’t a time of year that you can’t have a gorgeous wedding day in this part of the world.